To delete an entry, a staff member should use the Trash Can icon next to the entry. Time entries that have been approved cannot be deleted. 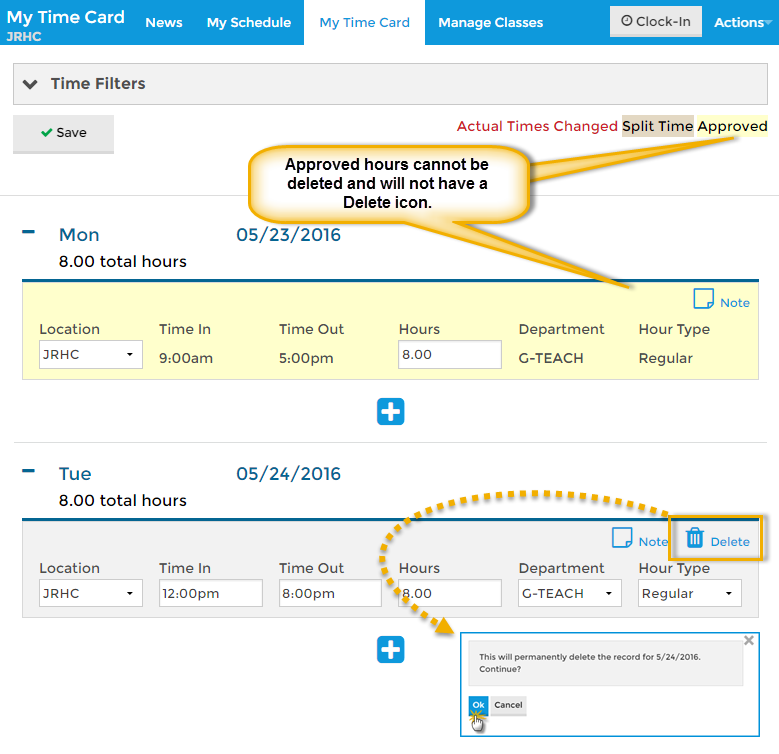 Staff members with the Clock In/Out time entry method cannot delete time and will not see the Trash Can icon.